Various Artists - Dekmantel 10 Years 05. Vinyl 12. Bleep. On EP5, legendary German musician Burnt Friedman makes his Dekmantel Records debut with ‘Monsun’. The Berlin based artist, who built a reputation for himself through his explorations into obscure, finely-tuned, experimental dub through his label Nonplace, alongside his collaborative relationship with the late Can drummer Jaki Liebezeit, is one of the crucial, sonic manipulators of our time. ‘Monsun’ finds Friedman crafting flowing, percussive, dub techno that is both esoteric, and progressive. Befitting of a Dekmantel release. Alongside Friedman sits legendary Detroit act Ectomorph, aka. 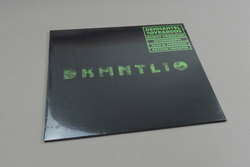 BMG & Erika, also making their Dekmantel inauguration, with a record that surmises’ the group’s anologue, style of Motor City beats. . There would be no Dekmantel celebration without longtime family members, JuJu & Jordash. With three LPs and countless EPs released on the imprint to date, alongside a sleuth of festival, and party appearances, the improvisational duo have become masters of off-kilter, and poly-rhytmic electronic funk, of which ‘Neon Swing’ -a fast-paced and extremely invigorative cut- is of prime example. And then there’s Dekmantel favourite Fatima Yamaha – an artist who has a keen ear for gentle, analogue hooks that have gone to become ample festival fodder. The Dutchman maintains an ear for the serene with the track ‘Platforms’, a sullen, yet beautiful ambient track, the drives deep into the emotive world of soft, tender, heartfelt music.